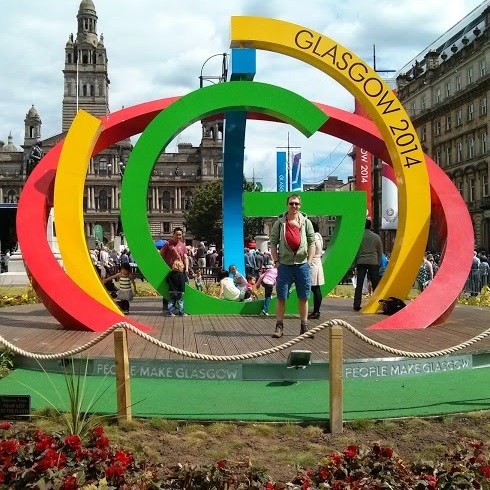 Transport minister Derek Mackay today praised his predecessor Keith Brown for successes in active transport with a motion in Scottish Parliament, despite evidence of severe failings in many areas. That the Parliament recognises the success of active travel programmes in enabling more people to be active more often, with record levels of investment in active travel; celebrates the 20th anniversary of the National Cycle Network; welcomes the publication of the second Cycling Action Plan for Scotland and the first National Walking Strategy; acknowledges the cross-party commitment to promoting active travel and progress made by the Scottish Government since 1999, alongside external partners, in laying the foundations for a more active and healthier nation, and commits to working together to realise the active travel vision, which outlines how Scotland will look in 2030 if more people are walking and cycling. This is all very best-of-British, we-boys-stick-together, tea-and-medals-all-round; but Derek doesn’t appear to have checked whether Keith had actually done a good job. Have we really become a healthier, more active, and less polluting nation since Keith took over? 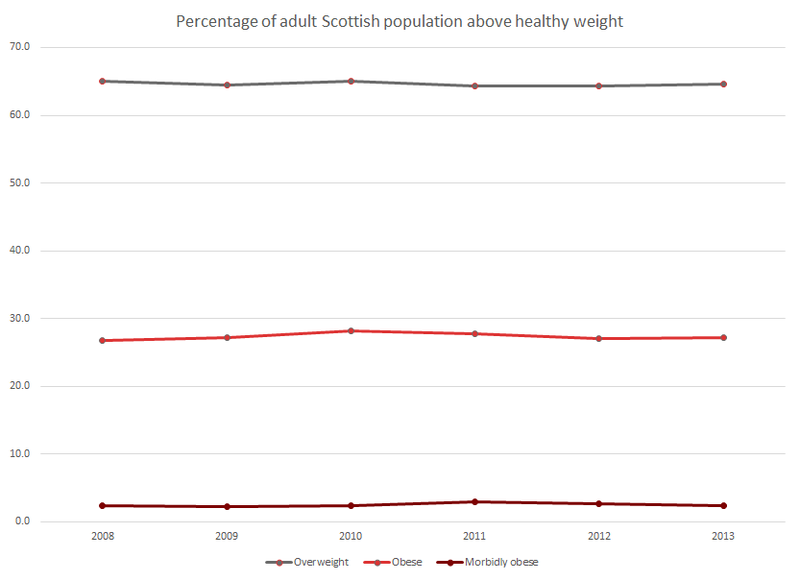 The jump in walking rates between 2011 and 2012 was acknowledged to be as a result of a change to the survey, rather than a genuine increase. See footnote two here. 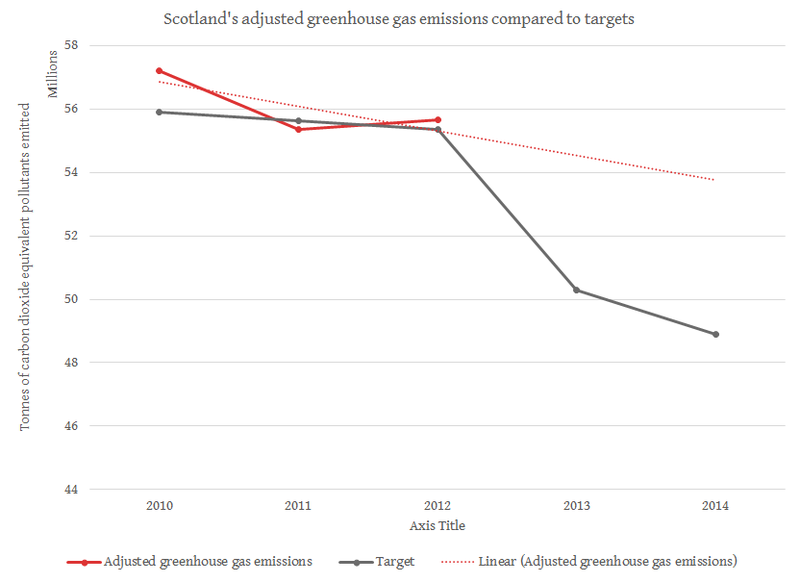 PS: Tempting as it was, I’ve avoided manipulating the graph axes to exaggerate the changes. The cyclists injured chart in particular shows a much more drastic increase if you don’t stick to the zero minimum on the axis. PPS: These were five of the first six charts I drafted, before deciding I had enough information. 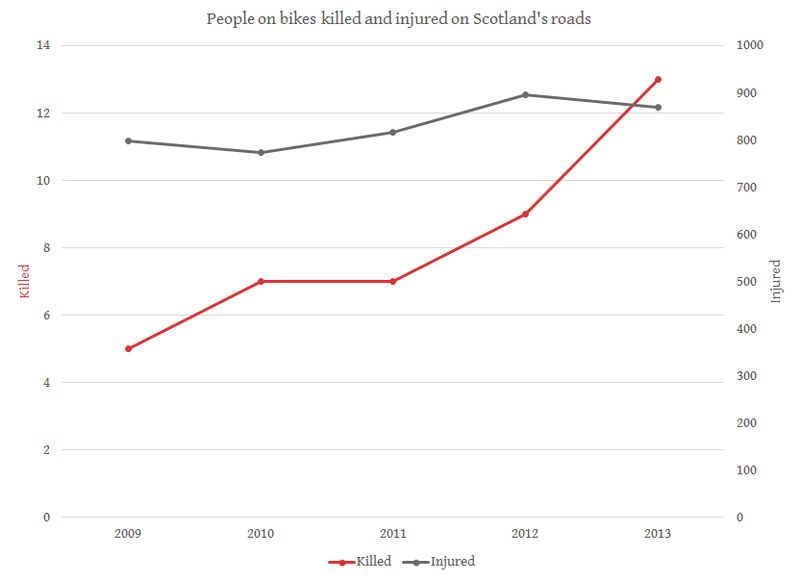 The only chart I looked at where a clear improvement has been made between 2010 and 2013 was that of pedestrians killed and seriously injured. Even then, the improvement lags well behind the same metric for drivers. 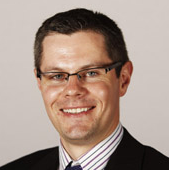 PPPS: The mugshot of Derek I used on the homepage link is Scottish Parliamentary information licensed under the Open Scottish Parliament Licence v1.0. P4S: The next quick win that I originally planned to publish tomorrow will instead go out on Thursday. In case you were waiting. Whilst agreeing with almost all you say, it is unwise to read too much into cycling deaths in one year, as they are so volatile. 2013 looks like a sad upward one-off blip in the same way that 2009 was a welcome one-off downward blip, making the graph for deaths rather misleading. 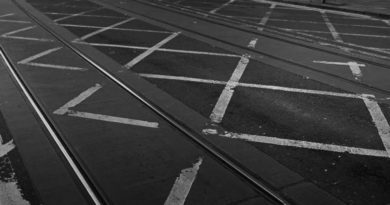 Although Scotland cycling death figures for 2014 have not yet been published, my records from press reports suggest 8 deaths (one of which was a person falling off their bike with no vehicle involved). That compares with an average of 9 per year over the period 2004-2008 (using the reference you gave). 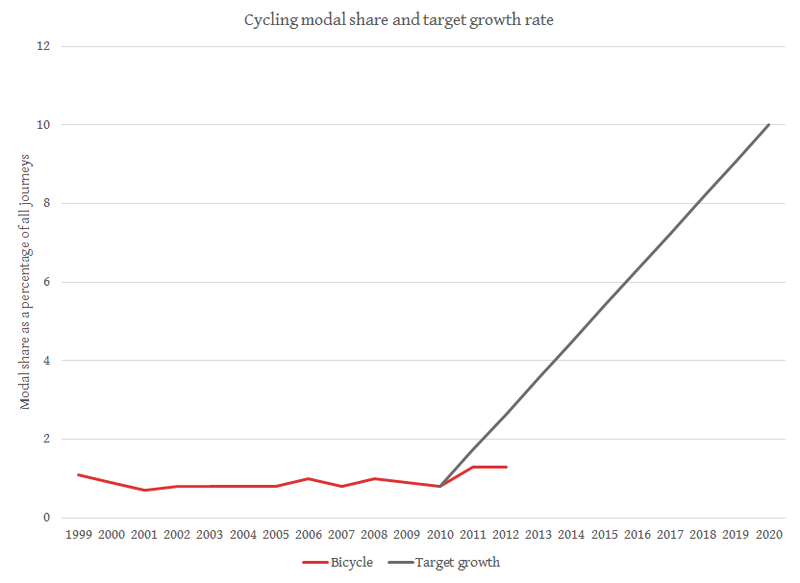 The rise in injuries is a better marker of what is happening but, as your original TS reference points out, it is very much in line with the slow growth in cycle use. 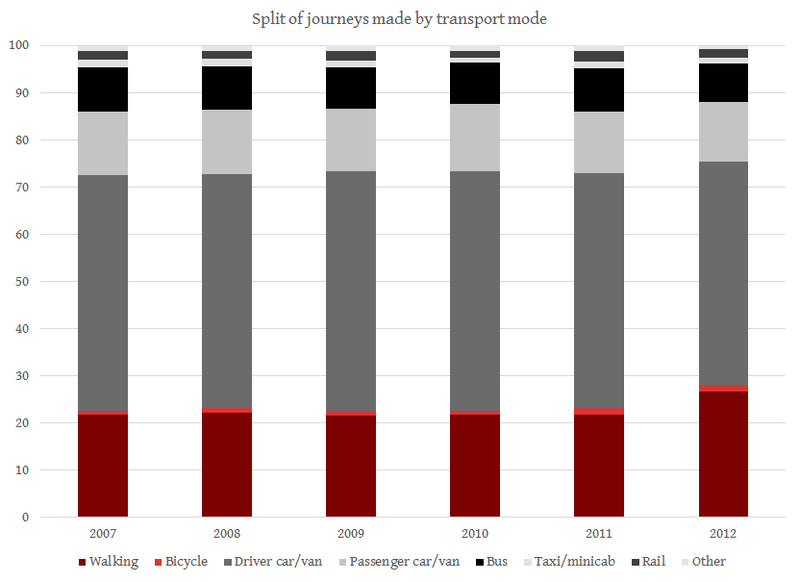 Thus cycling per km would appear to be very roughly as safe (or as dangerous, whichever you prefer) as it has been over the last 10 years – and a lot safer than if you look at the years before that. Along with your other graphs – weights, emissions, etc – the picture seems very much that nothing much has changed. This is hardly surprising given that active travel investment has for years hovered at or below 1% of transport spending. Indeed it is rather a miracle, given the big roads investment, that trends have not moved in a seriously negative direction!